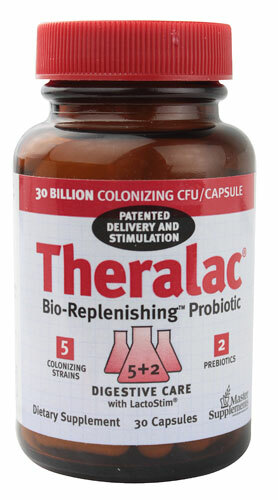 Theralac is a brand of probiotic supplement manufactured by Master Supplements. There are at least three different supplement formulations. This page summarizes three of them. Other Ingredients are microcrystalline cellulose, sodium alginate, hydroxypropyl methyl cellulose (capsule shell), tri-sodium phosphate, magnesium stearate, silicon dioxide, calcium silicate, ascorbic acid, and LactoStim (sunflower lecithin and oleic acid). Be a high potency, multi-strain probiotic protected by SEVEN U.S. Patents covering acid-proof delivery and prebiotic stimulation. Have each batch to be laboratory tested to meet strict quality control standards; guaranteed at time of expiration. Be free of milk , eggs, gluten, wheat, soy, casein, nuts, seafood, or beef products. Suggested Use: Take 1 capsule daily for two weeks. Thereafter, take 1 capsule every 3 days to maintain digestive care. If additional supplementation is desired, return to 1 capsule daily use. Theralac can be taken with antibiotics:but allow at least 3 hours separation. This supplement should be refrigerated. in my online dispensary, along with other quality products, at a discount. Other Ingredients are microcrystalline cellulose, sodium alginate, silicon dioxide, ascorbic acid, lactostim® (sunflower lecithin and oleic acid), and calcium silcate. Suggested Use: As a dietary supplement fold, do not mix, 1/4 teaspoon into applesauce or other soft food. Wait one minute then serve. Repeat daily for 2 weeks then twice weekly thereafter. Return to one serving daily whenever required. This supplement may be taken 3 hours apart from antibiotics and should be refrigerated. Other ingredients are hydroxypropyl methyl cellulose (capsule shell), microcrystalline cellulose, maltodexterin, sodium alginate, magnesium stearate (vegetable source), trisodium phosphate, silicon dioxide, calcium carbonate, ascorbic acid, dexterin, lLactoStim® (sunflower lecithin and oleic acid, and calcium silicate. 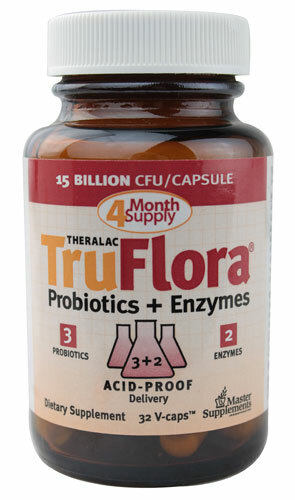 TruFlora is a high potency probiotic with enzymes that is protected by Patented Formulation. These patents assure viable delivery through stomach acids and prebiotic stimulation with Lactostim. Each batch is laboratory tested and guaranteed at time of expiration. Suggested Use: Take 1 capsule daily for two weeks. Thereafter, take 1 capsules every 3 days to maintain digestive care. Return to 1 capsule daily if needed. This supplement is free of eggs, milk, gluten, wheat, soy, casein, nuts, and seafood products. At the time of this writing, the other ingredients are: microcrystalline cellulose, sodium alginate, hydroxypropyl methyl cellulose (capsule shell), tri-sodium phosphate, magnesium stearate, silicon dioxide, calcium silicate, ascorbic acid, LactoStim (sunflower lecithin and oleic acid). Please always read ingredient labels as formulations can change over time! 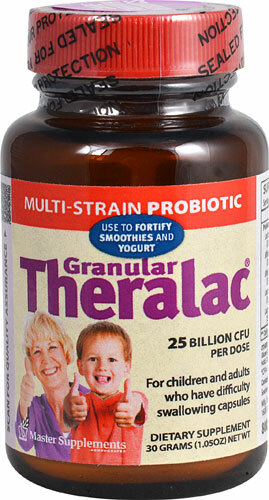 What are the Pros of Theralac Products? Third-party test results are published online by lot number of the product for strength, purity and activity. 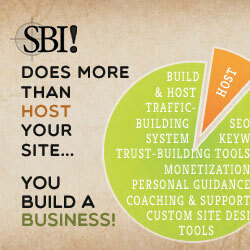 You enter the lot number of your product and can view the test results. This is a very nice feature and is rare to find! Has the prebiotic Lactostim. Note that this prebiotic is not a prebiotic in the sense that the bacteria ferment it. Instead, Lactostim is incorporated into the bacteria’s cell walls and improves functioning of the cell which in turn can allow it to reproduce faster. As a result, Lactostim should not cause gas and bloating to people sensitive to prebiotic fibers. Potency is guaranteed during shipping at non-refrigerated temperatures, but product should be refrigerated upon arrival. What are the Cons of Theralac Products? As with most probiotics, this one requires refrigeration after it is delivered. It has added ingredients which may be undesirable. No studies with this product as a whole were performed. Note that this is not unusual, however. Very few multi-species probiotic supplements are used in studies. Instead, species/strains that are shown to be effective and non-competing are mixed together in most multi-species supplements such as this one. Thanks to Susan for suggesting a review of this supplement! To read about my approach to supplement reviews, and about my reviews of other probiotic supplements, click here.